In the morning, we went to Efteling. This place was really big. Actually, it needs two days to see everything in this park. 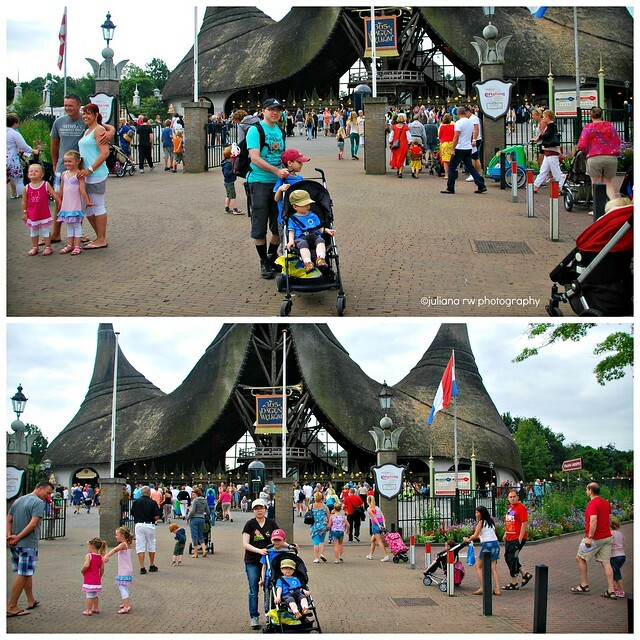 We definitely want to back to Efteling again, maybe in about 2 or 3 years. Just wait until Matthew more easy to go to trip. This photo was taken at the beginning of the park. At this moment, I am still busy updating our photos to my Flickr account. I always took too much photos on our trip....LOL. We were watching these birds. So strange isn't it. 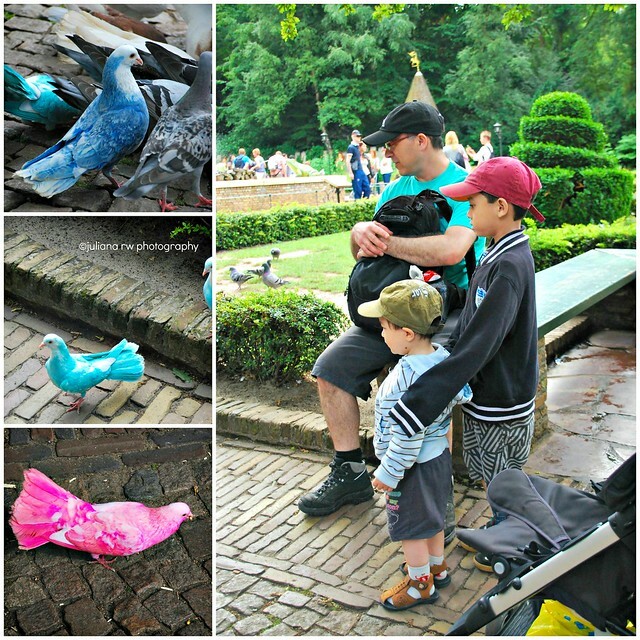 Until now, we didn't know how those birds have the colors like that. Continue to the next post for more photos and stories from our trip last Summer. Are those colored pigeons? I lived in NYC where we have LOTS of pigeons but none that beautiful. Maybe if we did have those pretty ones we would love them more. Love the photos. What a fun family adventure! 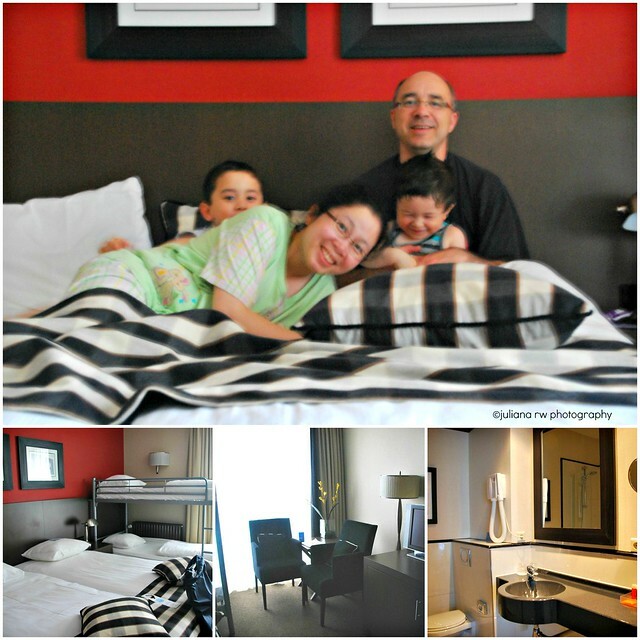 I have three young children so I understand how hard it can be sometimes in hotel rooms! Those birds were so cool! Sorry no AC in the hotel but glad it was okay otherwise. Sounds like quite the adventure! Thanks for sharing! The birds are beautiful. I also have trips I want to take, but want my son to be old enough! I had never heard of this place before but it looks neat. Never seen birds colored like that before. It looks like you had a great adventure on your trip! I also don't like staying in hotels that don't have AC it can make for a miserable stay. I love all the pictures you posted. Those birds are very colorful. Aww, I totally understand. We travel a lot and we've been pretty regularly since our 4 year old was born. We had one really bad vacation with her at a hotel and ended up leaving a day early. Well besides that, it looks like you all had a great time! Love your pictures!